How do you clean Range Hood Filters? Q. How do you clean range hood filters? How do you clean range hood filters? How to clean range hood filters isn’t a mystery. It’s also a job no one really wants to do, but in order to have your range hood function like it should, we need to clean our range hood filters regularly. After a bit of use, your range hood filters (as well as the rest of your kitchen) is usually caked in a nasty, sticky residue. Since you’re reading this, you’ve probably noticed that this stuff is very hard to remove. 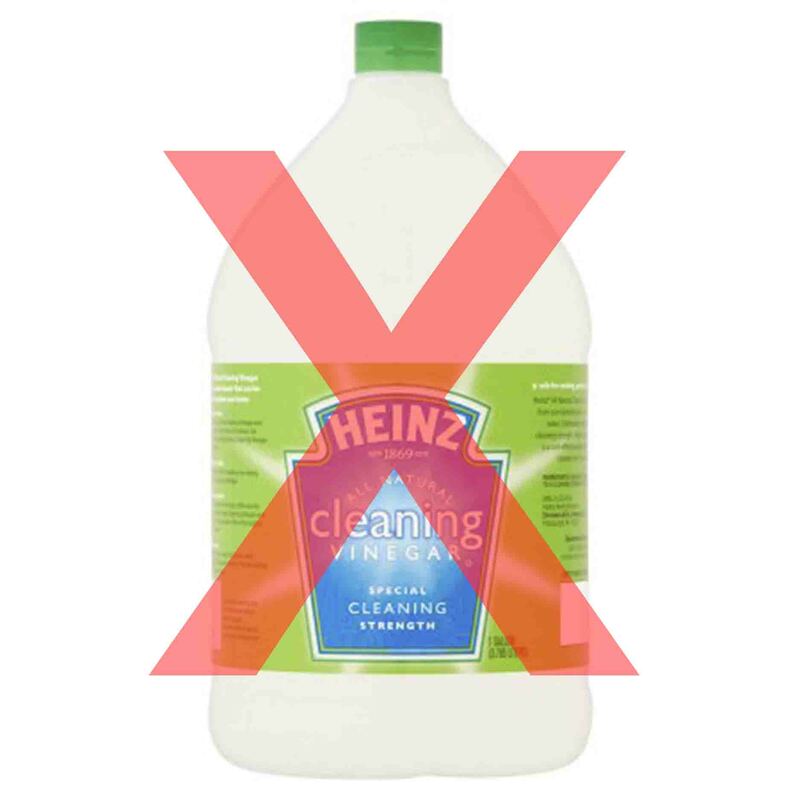 The cause of this is that this goo is mostly made up of polymerized cooking oil, which means that the residue has formed a layer or a thin coating. Since the majority of the regular store-bought degreasers won’t cut it when it comes to getting rid of this sticky layer, we have compiled a list of products which will aid you in your fight against grease buildup. 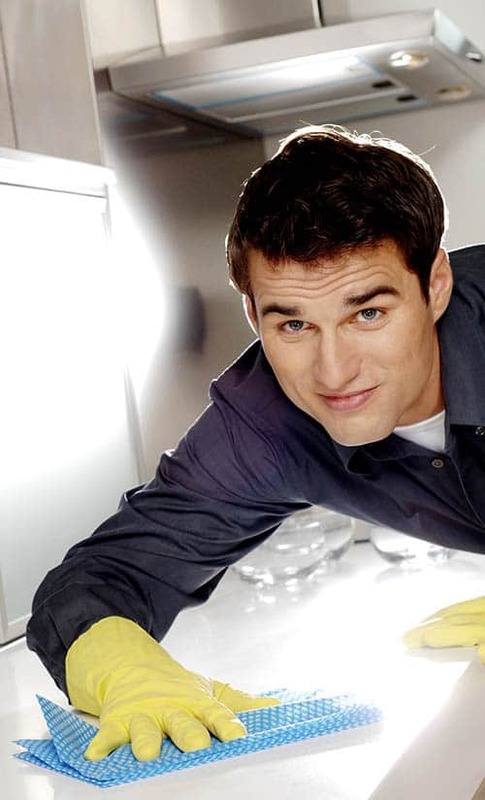 This information will be mostly focused on cleaning your range hood filters in particular, as they’ll be capturing most of the grease and will therefore be the hardest to clean. 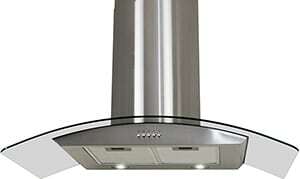 However, most of the advice will also be applicable to the rest of your range hood and kitchen cabinets/counter. Note: when referring to range hood filters, we are referring to aluminum mesh filters. Charcoal filters shouldn’t be cleaned when dirty, but rather be replaced. Dishwasher. 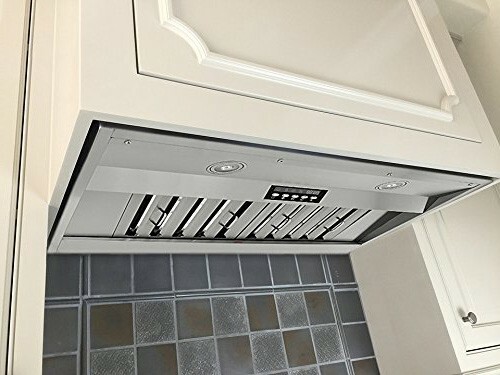 Most range hood filters are made out of aluminum and will be dishwasher safe (check your manual to be sure), however, dishwasher detergent is generally pretty harsh and will cause your range hood filters to degrade over time. Your range hood filters will get this dull and chalky color and will start to feel kind of 'rough.' 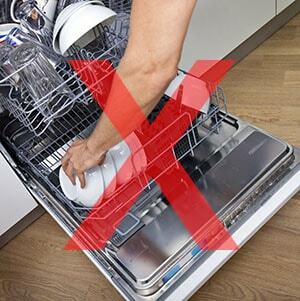 Aside from that, dishwashers never really seem to fully get the job done and will leave your filters sticky and greasy. clean. That might be fine for a other stuff in your house, your range hood isn't one of them, as it will scratch the surfaces of your range hood filters. That said, it is definitely possible to soak your range hood filters in a mixture of baking soda and dish-soap (e.g. Dawn) without scrubbing them. Simply fill your sink with hot water, add baking soda + dish-soap, submerge your aluminum filters, wait for around 10 minutes, rinse off the baking soda, pat your filters dry with a towel. Note: Don’t use baking soda on any other parts of the range hood. Baking soda + Vinegar. This combination won't do the trick either, as the former is alkaline (a base) and the latter is acidic. They will cancel each other out. Although it’s fun to look at the bubbly substance, cleaning wise it’s not that effective, as they're neutralizing each other. You will essentially end up with a foaming substance, which might be great for unclogging, but it won't help you in your battle against grease. Ammonia (ammonium hydroxide). Many range hood producers will explicitly state in their manuals not to clean their range hoods and range hood filters with ammonia or ammonia based cleaning products. To err on the side of caution, we therefore do not recommend cleaning your range hood filters with ammonia or ammonia based cleaning products. 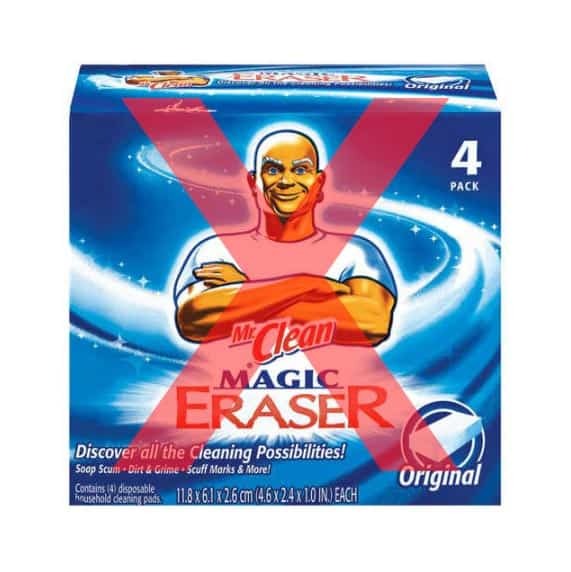 Magic erasers (or any other melamine foam sponges). 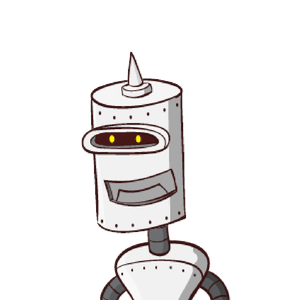 Yes, they are really effective in getting rid of greasy and sticky surfaces, but they work by being abrasive, like fine sandpaper. As with baking soda, you're essentially grinding the grease off, which means you run the risk of scratching the metal surfaces of your filters (and range hood). So, how DO you clean range hood filters? How will we get rid of the nasty, greasy and sticky layers? First of all, take the filters out of your range hood, which should be easy. If you're not sure how, check your range hood manual. Secondly, use one of the following products as described below. Thirdly, clean afterwards with a regular dish soap/kitchen degreaser to get rid of the residue of the products below and thoroughly rinse with water. We don't want any of it dripping its way into our dinner. heated. Also try not to use a steam cleaner on anything covered in water-based paint, as you might end up removing said paint. 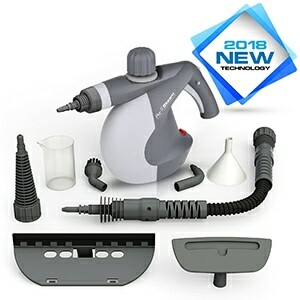 You're probably thinking you don't want to spend money on a steam cleaner, when a bottle of cleaning product will only set you back a couple of bucks. Fair enough. You will have to invest a bit more money compared to a bottle of cleaning product, but it will be a one time investment, as opposed to constantly having to buy bottles of cleaning product when you run out. 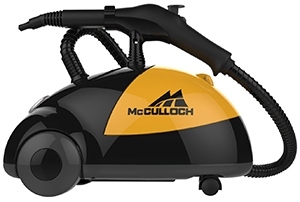 Steam cleaners, on the other hand, can be filled with water (eco-friendly)! The best part is that their use isn't just limited to cleaning your range hood filters. Grills, floors, stoves, bathrooms, mirrors (etc.) 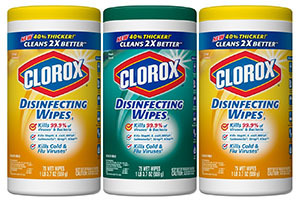 will all become squeeky clean, as well as sanitized and disinfected. They even come as compact handheld devices. degreaser. It will effectively remove grease from almost all surfaces. 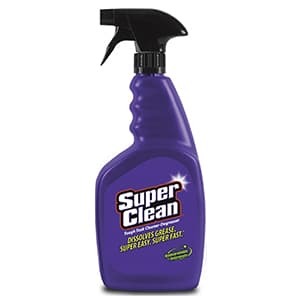 Seeing as SuperClean is a very strong substance (yet bio-degradeable and phosphate free) you will have to dilute it with water before usage. The manufacturer advises to use 16 parts water to 1 part SuperClean when cleaning range hoods. 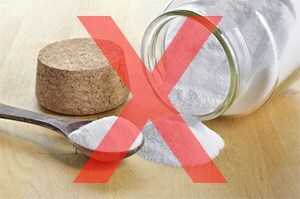 If it doesn't seem to do the trick, dilute it with less water or even use it in its concentrated form. Formula 409. Yes, we know Formula 409 is an an all purpose cleaner, but it’s particularly effective in cutting through grease and grime, as well as in killing food related bacteria. 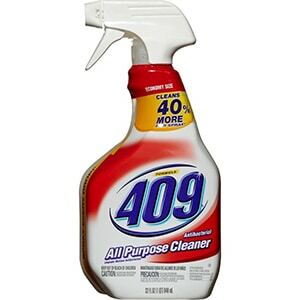 Contrary to many other all purpose cleaners, Formula 409 doesn’t contain any ammonia. 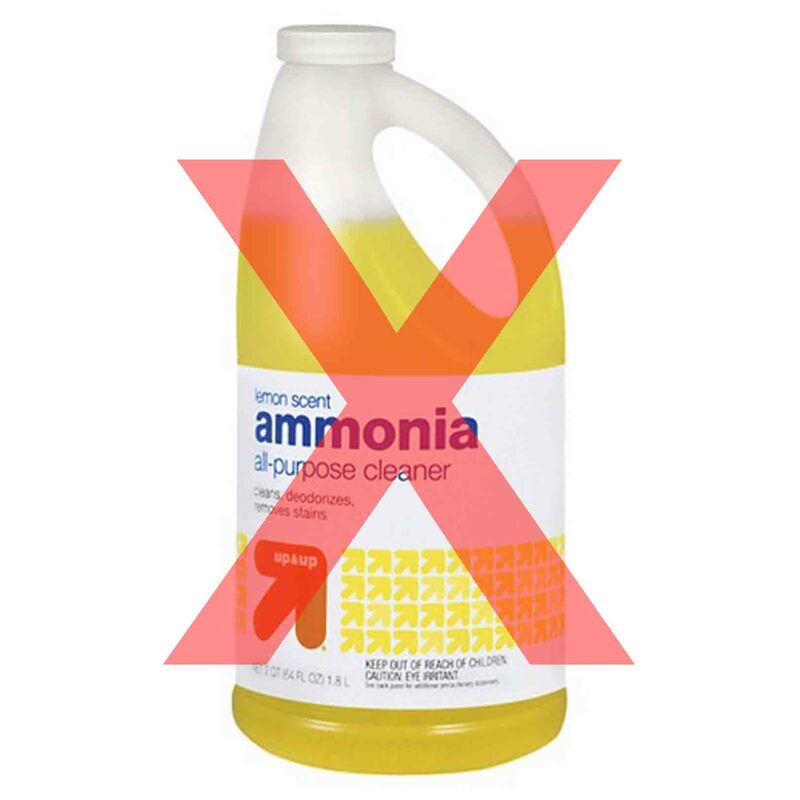 (As you've read above, ammonia is a no-no when it comes to cleaning range hoods.) Spray Formula 409 on your range hood filters, wait half a minute and wipe off the grease with a towel. Be sure to clean the filters with regular dish soap afterwards so as to remove remaining traces of Formula 409 and rinse with water. Goo Gone. If all else fails, you might want to give Goo Gone a try. Why? Because Goo Gone is essentially an adhesive remover. It's designed to get rid of gooey and gummy residue, like the impossible-to-remove stuff which is left behind after removing a sticker. This makes Goo Gone the perfect weapon in the war against the equally hard to remove polymerized grease on your range hood filters. 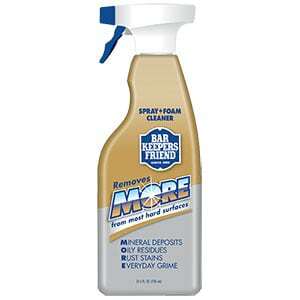 Bar Keepers Friend Spray and Foam Cleaner. As the name implies, Bar Keepers Friend has long been a much used and well known brand in the hospitality industry. Although other Bar Keepers Friend products might do a better job in cleaning the greasy residue on your range hood filters than their Spray and Foam Cleaner, all their products except for this one contain abrasive particles. The BFK Spray and Foam is the only product which won't scratch your range hood and range hood filters. What makes BFK Spray and Foam a great choice is the fact that it’s a (non bleach) formula geared towards cleaning stainless steel, including range hoods. Now that you have a great strategy when it comes to cleaning your range hood filters, check out our other articles.